If you’ve heard of Lynda.com, you’ll probably be very happy to know that UVM now has a full subscription to the service! 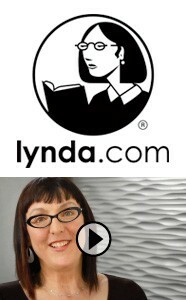 Lynda.com began in 1995 and has since grown to be one of the world’s leading providers of online trainings for creative, business, software, and technology skills. On the topic of Blackboard, for instance, there are courses with video tutorials on topics such as how to use the course control panel, (note: these links will work after you’ve logged in. See the log in link, below) setting course availability, viewing grade history, weighting grades in the grade center, and test availability and deployment. » LOG IN: will take you first through the UVM authentication page. This entry was posted in CTL Home Page, Learning, Resources. Bookmark the permalink.